I love this one. It's a blue red crème base with small silver and fuschia glitters. Application was really nice considering all that glitter. The pictures don't do this one justice. I'm wearing two coats. *Note the Pure Ice site describes this as a burgundy glitter. Again, I don't know if I have a mislabeled bottle or if there are a few versions of this one floating around the interwebs. One reader bought two bottles of New Years Resolution from two different Walmarts and they didn't match. Beeware is an ultrafine dense silver glitter in a clear base. 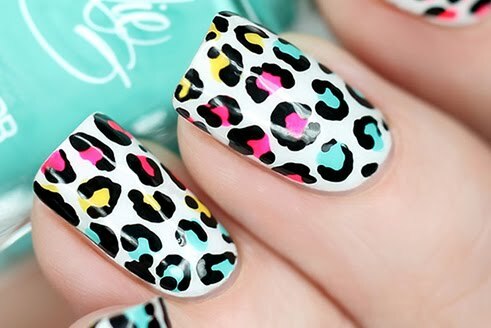 First I tried this on its own, but it wouldn't cover my stained nails (gasp...yes, it's true). So I tried it over Party Hard. You can see how dense the glitter is (this is just one coat!). 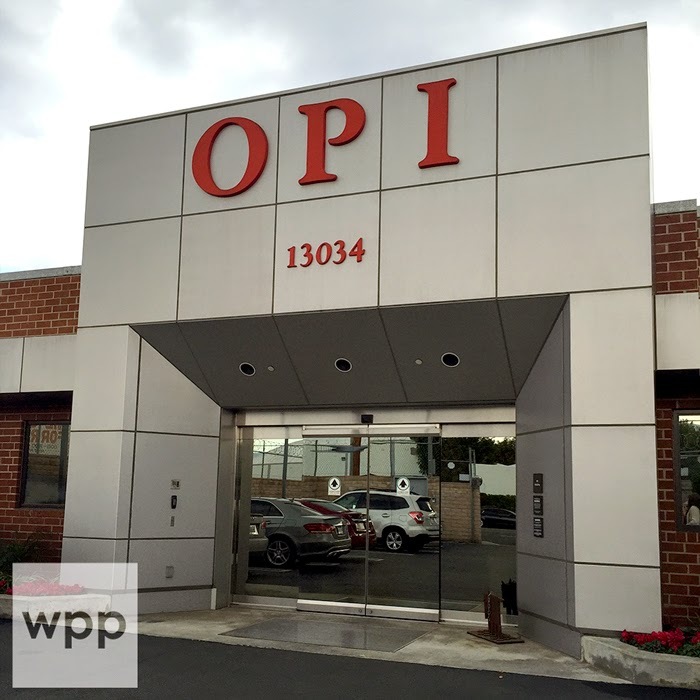 You may be able to get this opaque in three coats. I love small glitters like this. *Note: The Pure Ice site calls this one Beware (spelled with one 'e'). So apparently Celestial is not a new release. 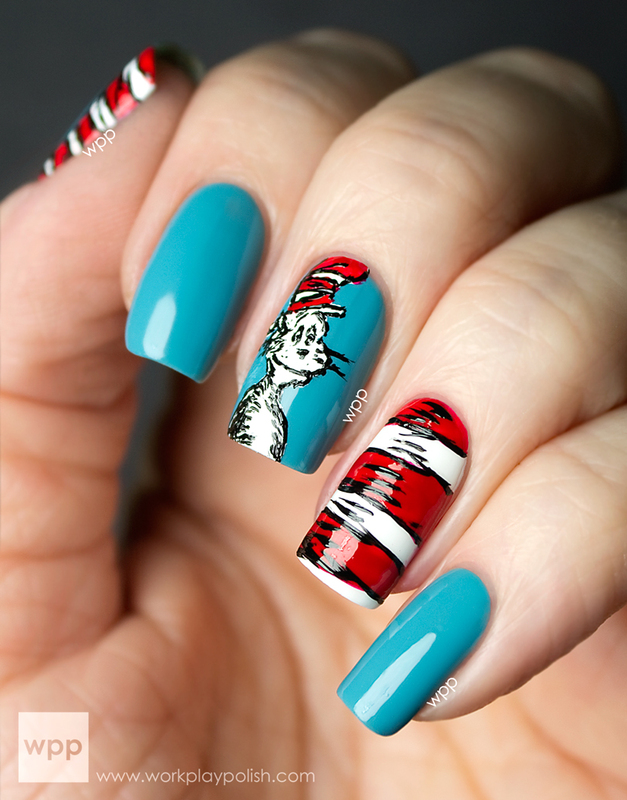 I didn't research all of the polishes but I did run across a post about this one from 2010. Maybe it's a re-release for this collection? In any event, it’s a metallic cobalt blue. 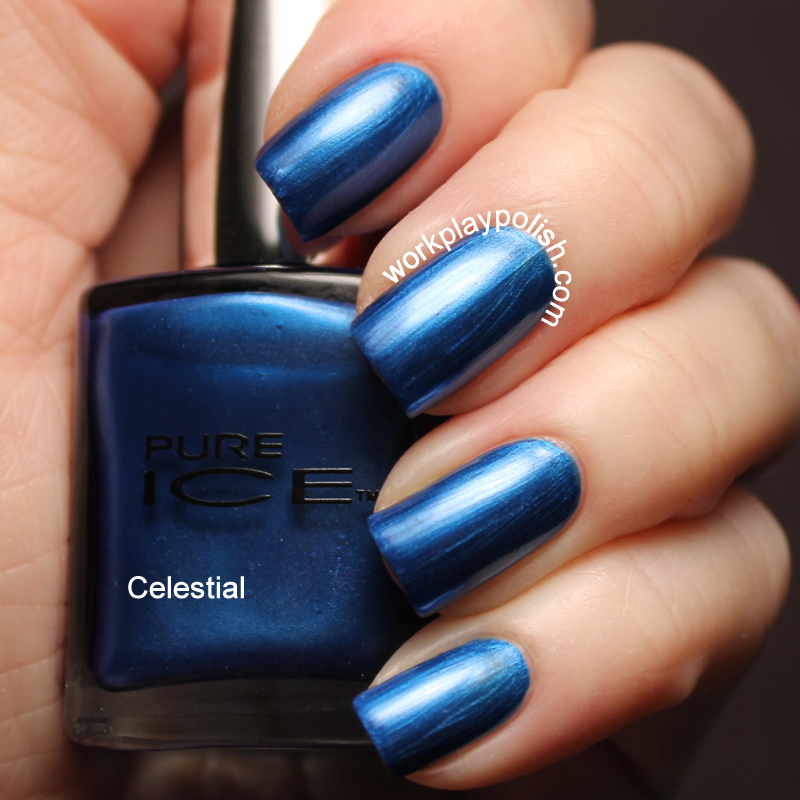 It's a similar blue to Zoya Song, but a different finish. The formula was good. Opaque in two coats. So here's one that I definitely won't wear again. 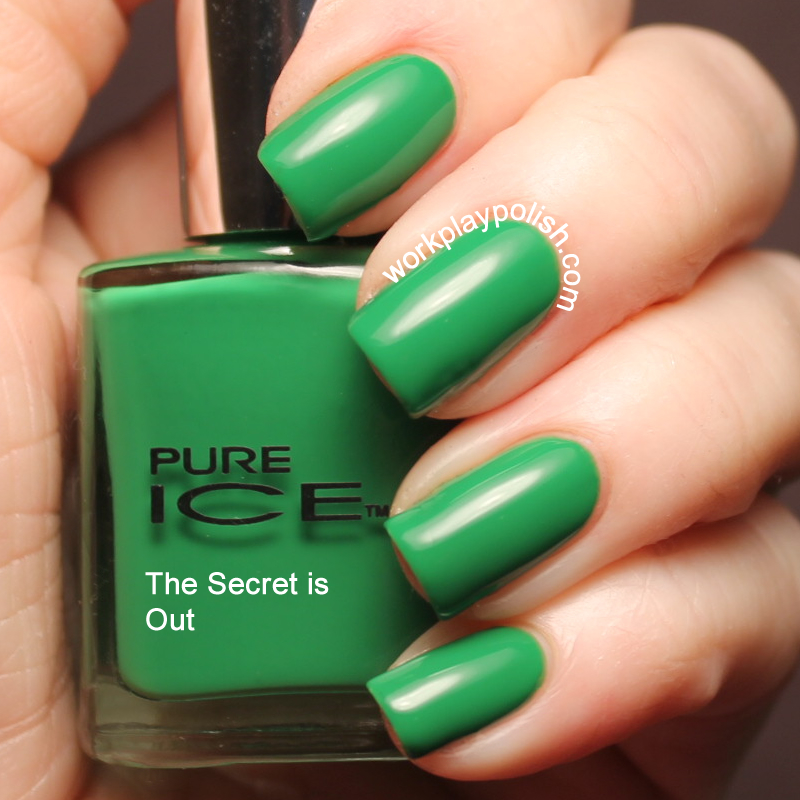 I can see what Pure Ice was going for with this one, but I'm just not feeling it. 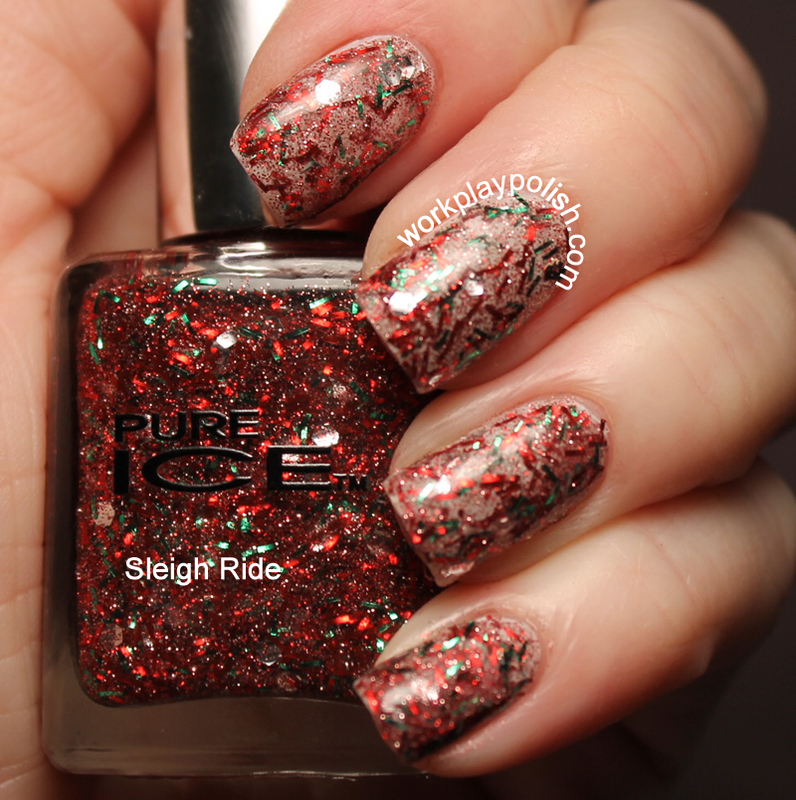 Sleigh Ride is clear base tinted with ultra-fine red glitter. Super-duper fine red glitter. To me, it makes the clear base seem dirty. Then it has red and green bar glitters and the occasional silver hex glitter. I tried this a few different ways. My swatch below is one coat of Sleigh Ride layered over OPI My Boyfriend Scales Walls. The application was challenging and the silver hexes were hard to come by. Actually this one was kinda doomed from the start for me because I think bar glitter looks "hairy". To it's credit, Sleigh Ride looks much better in direct light. The Secret is Out is a preppy, spring-y green crème. Simple and pretty. The formula was great. This one is a dense, deep-red microglitter in a clear base. You may be able to get this one opaque after several coats, but I chose to start with a base of Sweet-Tart. My swatch has two coats of Reddy-or-Not. It dries quickly with a rough, flat finish…but is a sparkle-bomb after a coat of Seche Vite. So if you could only have one of these which would it be? My choice? Beeware. It think it would look awesome with black stamping.